After a dip in 2016, Christie’s says its total global sales increased by 26% to £5.1bn (or $6.6bn, a 21% increase in US dollars) in 2017, helped in large part by the $450.3m Salvator Mundi by Leonardo da Vinci sold by the auction house in November. 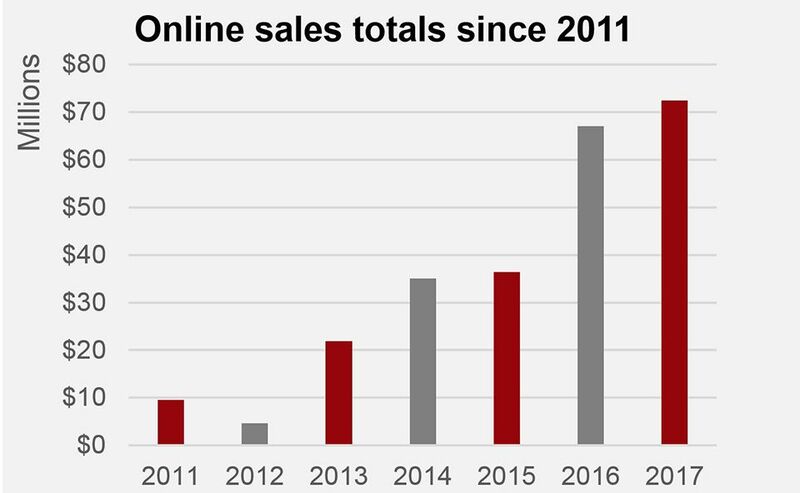 The bulk, predictably, came from auction sales, which contributed £4.6bn ($5.9bn), up 38% on 2016, with a 81% sell-through rate, while online sales added £55.9m, up 12% ($72.4m). However, private sales were down by 32%, at £472.4m ($611.8m). In all, 31% of buyers were new to Christie’s in 2017, of which the majority (37%) were brought in by online sales, an area that the firm—like its competitor Sotheby’s—sees as a key area of growth. 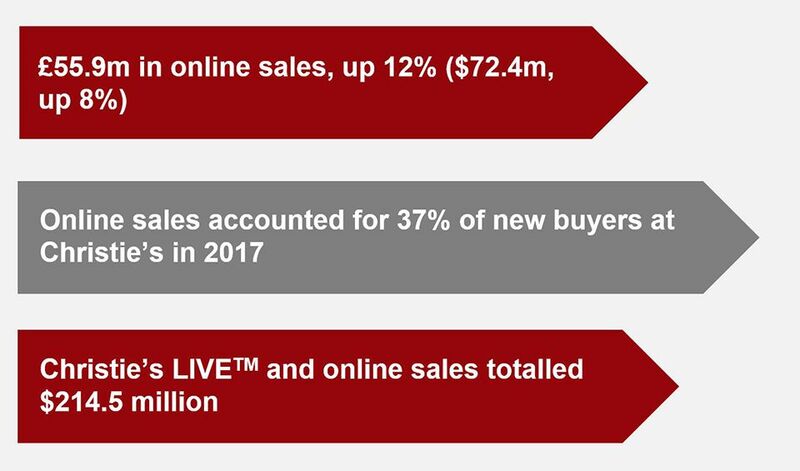 Online sales (including both online-only sales and live bidding) reached £165.6m ($214.5m) last year, only slightly up from £161m ($217m) in 2016. 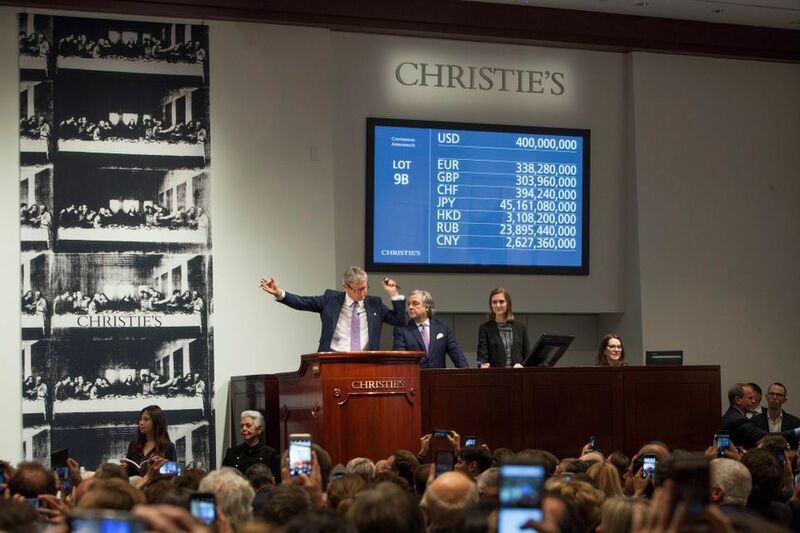 Although confidence in remote buying has increased, Christie’s top prices for works sold on the internet in 2017 remain low compared with their physical salerooms—$324,500 in an online-only sale (for a Rolex Submariner 6538) and $1.57m for a lot won by an online bidder in a live auction for Alexander Calder’s Sans Titre. Pylkkänen says: “Online totals might seem small compared to the Salvator Mundi, but that is where the future lies. The growth lies in the future scope of what we offer and the regularity of sales, not in individual prices. We have to make vendors in collectors' areas, like Picasso ceramics, confident that it’s sometimes a better way to sell than a traditional bricks-and-mortar auction.” Many such lower value, "collector" category sales would traditionally have been held at Christie’s secondary South Kensington saleroom, which the company controversially closed last summer. “We are comfortable that we made the right decision to close South Kensington”, Pylkkänen says. In 2018, Christie’s will concentrate efforts on online sales, Los Angeles (where it opened an exhibition space in April 2017) and Asia, “which remains critically important”, Pylkkänen says. Sotheby’s will release its 2017 total sales, along with its fourth-quarter earnings, in late February.